The kayak, the perfect sliding sport, accessible to everybody ! Modern version of kayaking /canoeing for beginners, kayaks-rafts are inflatable boats (mono or two-seaters) perfectly adapted to the initiation in white water. Stable and handy they quickly allow to have fun in rapids and to go down the torrents of the back country of Nice. Alone in a kayak or in a two-seater you will follow trajectories indicated by the guide and learn to navigate in river. 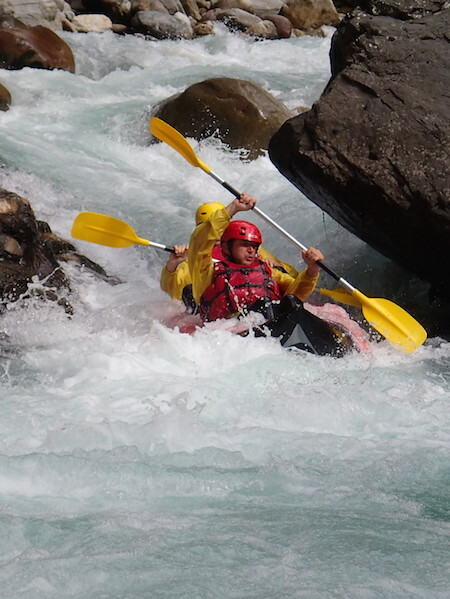 If you already have some experience in the sea, lakes or calm rivers…whitewater is your next step ! Thanks to its inflated structure, it is a very stable kayak, beginners can paddle the rivers without having any previous experience in white water. The certified guide insures your safety in all situations ( if you fall, you will find that getting back aboard your kayak is incredibly easy !). Which period ? Which rivers ? Followers of strong sensations : It is necessary to come to discover the Var, the Vésubie or the Gorges of Daluis in Spring ( May, June and July) . If the levels of water are too hight it is in rafting that it will be necessary to go down these routes. 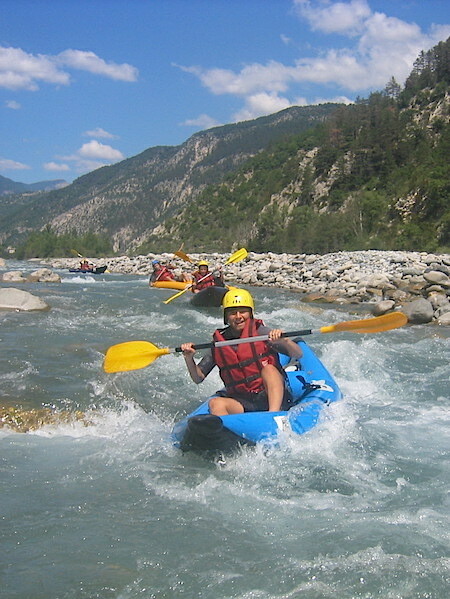 In Summer ( July / August) the kayak is possible on the river of the Var, Vésubie and the Verdon. In kayak get a refreshing moment on the Var, the Vésubie, the Gorges of Daluis and the Verdon. An advice, more details, please contact us.